Travel in style with this top of the line bag made from heavy duty, high quality; recyclable, eco-friendly, biodegradable 20oz 100% cotton canvas with recycled content. Leather handles and adjustable 2 tone heavy duty shoulder strap make this a perfect corporate gift for top executives. Heavy duty antique brass metal accessories and high quality craftsmanship make this bag a perfect company for any trip, business or pleasure. 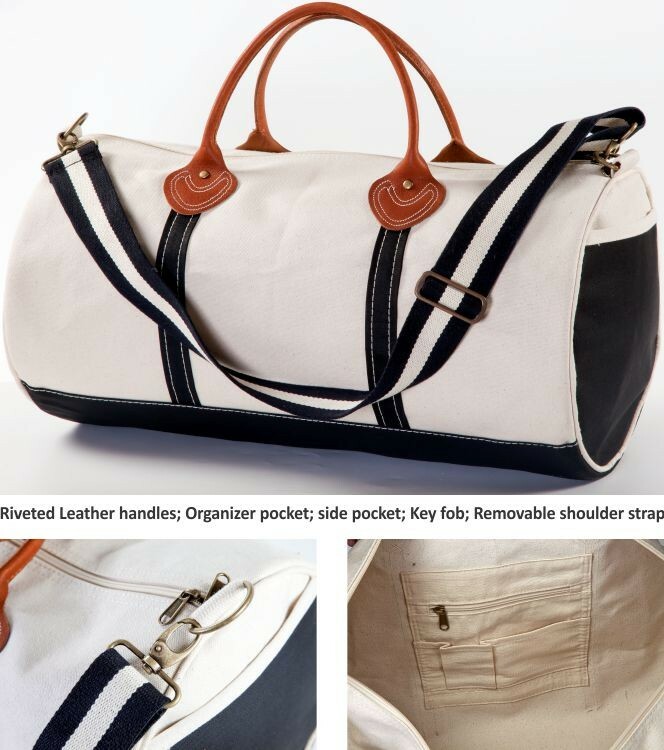 The bag has a reinforced colored bottom, side pockets with color accent, inside portfolio pocket and a key fob.